A beautifully written book about the art and magic of food. Every Monday night, a group gathers at Lillian's restaurant to learn the mysteries of cooking. Each chapter is the story of one of the students and how the class and food brings something from their past to mind or helps them get through something difficult. The writing, full of wonderful metaphor, is magical. I don't know if I learned anything about cooking, but it's a pleasurable experience that will bring to mind many others. 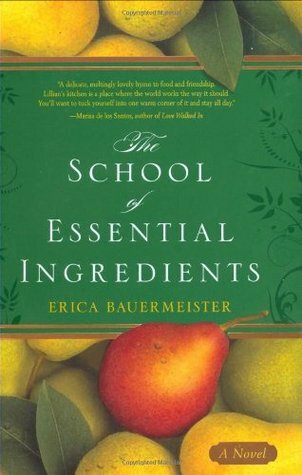 Sign into Goodreads to see if any of your friends have read The School of Essential Ingredients.